Downloading files that you only need to preview can create unnecessary clutter on your computer. 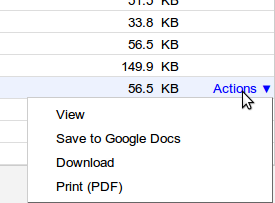 While you can already use the Google Docs Viewer to view over 15 different file types without downloading them, today we’ve added support for archive file types ZIP and RAR. 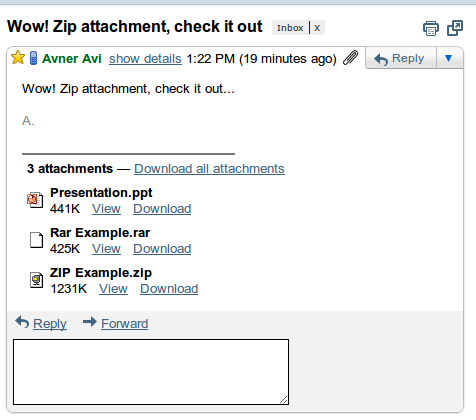 Now, if someone sends you a ZIP or RAR file in Gmail, you’ll be able to view its contents from within your browser by clicking on View. 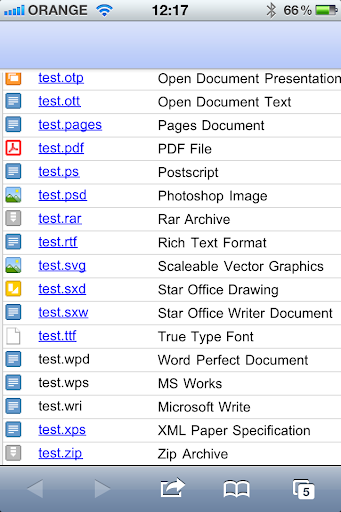 This will bring up a view that includes all of the files in the archive, the file types, and the size of those files. When you hover over the list you can activate a menu by clicking Actions. You’ll be able to View items supported by Google Docs Viewer and Print (PDF) those that we offer PDF support. Save to Google Docs and Download appear for all files. ZIP and RAR archives that are embedded inside other archives also work. For example, if you have a RAR file inside a ZIP file (like in our example above) you can just click on that file to access the embedded archive. Go ahead and try the feature by viewing a ZIP file. This feature extends to Google Docs for mobile, too. 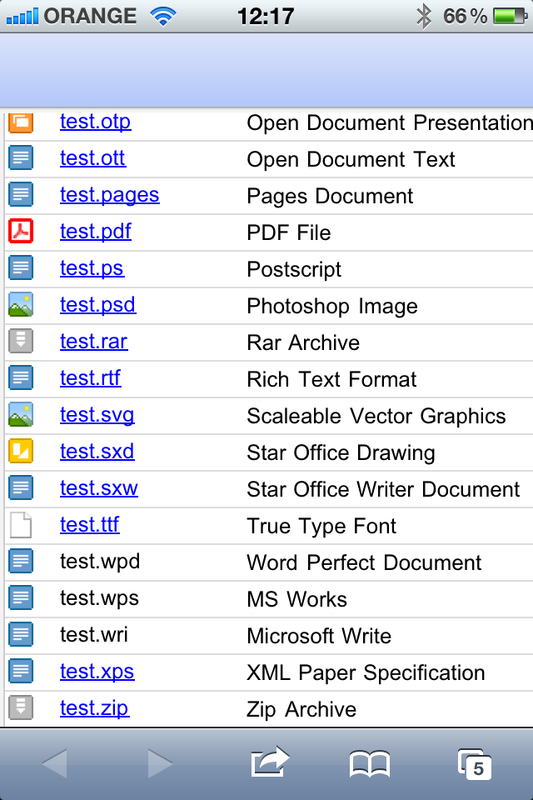 For each viewable file (including embedded ZIP or RAR archives) there is a link to view. We hope this removes the need to download full archives when you only need to work on select items. We’re always adding more file types to the Google Docs Viewer -- let us know what file types you’d like to see support for next in the forums.